Ronit Bezalel has been creating social issue documentary films for over 25-years. Ronit began her career at the National Film Board of Canada, where she directed When Shirley Met Florence (1994). Her award-winning film, Voices of Cabrini: Remaking Chicago’s Public Housing (1999), received a John D. and Catherine T. MacArthur Award to catalyze dialogue about affordable housing issues in Chicago neighborhoods. Newsweek magazine selected Ronit as one of the “Top 10 Women of the 21st Century” (Jan 8, 2001) for this work. Bezalel holds an MFA from Columbia College Chicago, and a BA from McGill University in Montreal. Catherine Crouch is an award-winning filmmaker based in Indianapolis, Indiana. Catherine’s filmography as writer/director includes the experimental short films Vanilla Lament (1997), One Small Step (1999), Stray Dogs (2001), Pretty Ladies (2002), The Gendercator (2007), Buttery Top co-directed with Kelly Hayes (2009), and A Pirate in Alphabet City (2012). Other credits include co-writing the HBO Original Movie Stranger Inside (2001) with director Cheryl Dunye and writing and editing the documentary Slaves of the Saints (2010) for director Kelly Hayes. 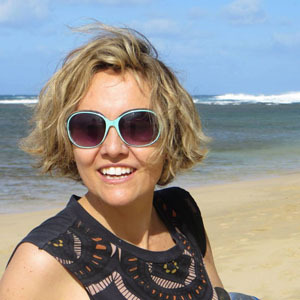 Crouch received her MFA in Film and Video from Columbia College Chicago in 1999. For more information on Catherine or her films, www.CatherineCrouch.com. 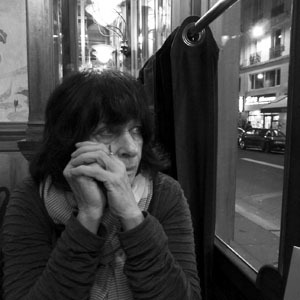 Judy Hoffman has worked in film and video for over 40-years. 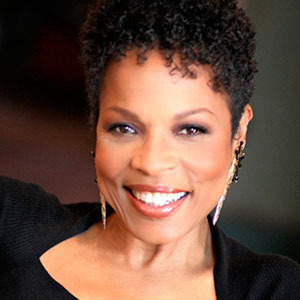 Her credits include numerous independent and PBS programs, including Daley: The Last Boss; Family Business; Seeing Red; and Ken Burns’ Baseball, Frank Lloyd Wright, and Jazz. A major focus of her work has been with the Kwakwaka’wakw First Nation of British Columbia, producing films and videotapes about the reclaiming of Native culture. Hoffman is a member of Kartemquin Films and played a major role in their formation. As the Acting Director of The Documentary Center of Columbia College in 1996, she along with Ronit Bezalel developed Voices of Cabrini, about the destruction of public housing in Chicago. Hoffman received an MFA from Northwestern University, and holds an appointment at the University of Chicago, as Professor of Practice in the Arts, Department of Cinema and Media Studies. 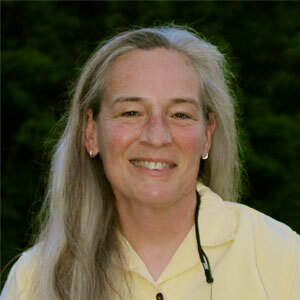 Brenda Schumacher is a filmmaker, community organizer, and marketing communications professional. Schumacher directed and produced the Chicago Gay Games VII documentary, which featured athletes and artists from 70 countries. As the broadcast communications director for the Chicago Games, she produced nationally broadcast television commercials, promotional videos, and a video tribute that was screened live on NBC5.com. Schumacher holds a BA from Northwestern University. Her areas of specialization include intersectionality, critical race theory, queer theory, feminist theory and media studies. Currently, she is teaching at the University of Maryland Baltimore County in their Gender and Women Studies program. 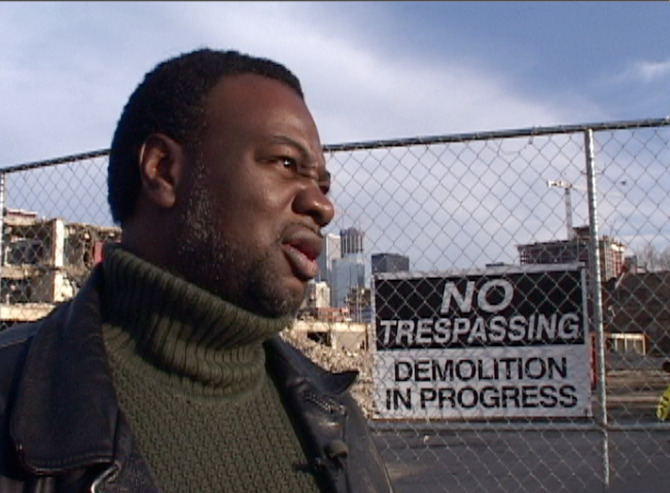 Mark Pratt, a former Cabrini Green resident, is both a producer and featured in the documentary. He was an instrumental force in connecting Bezalel to the Cabrini community. Pratt graduated with a BA in film from Columbia College in Chicago, and has since directed, filmed, and edited dozens of independent narrative films and music videos. He produced and edited the award-winning film Hell Ain’t Full (directed by Russell Norman), which screened at the Black Harvest Film Festival and the American Black Film Festival in 2010. 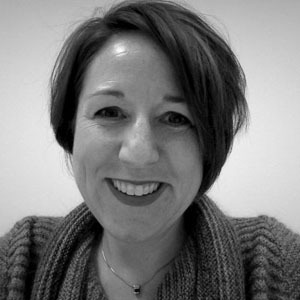 Madaliene Schalet is an operations manager with 20+ years national and international experience in leadership and implementation of technology products and services. She currently works at Apple, Inc. as a project manager. 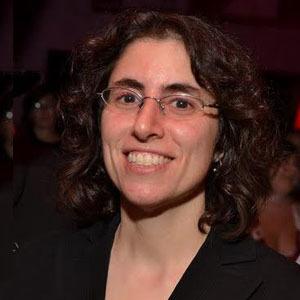 Prior to this, she was an executive producer in the Technology Department at Houghton Mifflin Harcourt where she conceptualized, managed and executed the product development of software, audio, video, online tutorials and e-books that supported the science and world language disciplines. 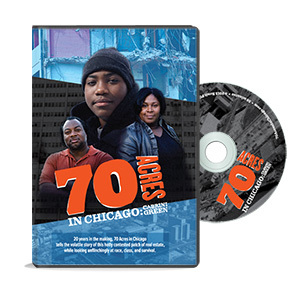 Mark Pratt, a former Cabrini-Green resident is both producing and featured in 70 Acres in Chicago. 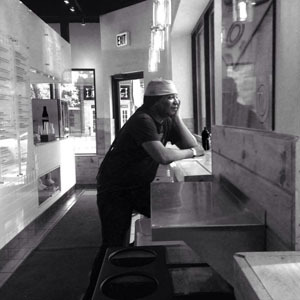 In 1998, Pratt graduated with a BA in film from Columbia College Chicago and has since directed, filmed and edited dozens of independent narrative films and music videos. Pratt produced and edited the award-winning narrative film Hell Ain’t Full (Dir: Russell Norman) which screened at the 2010 Black Harvest Film Festival and the American Black Film Festival. 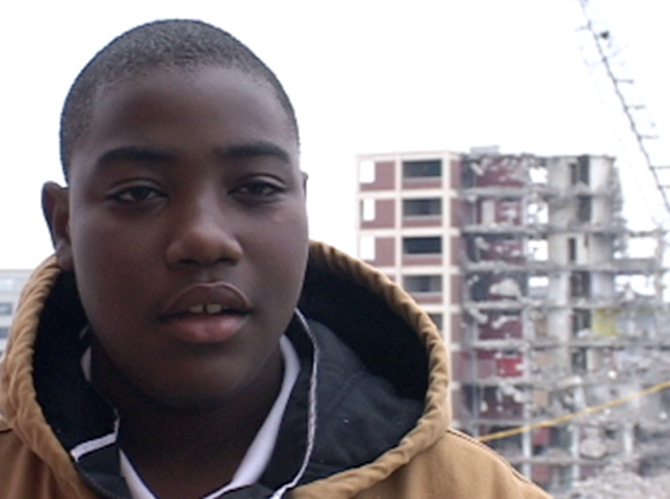 Mark relocated his family from Cabrini Green to Chicago’s South Side. It was a rocky journey as he had to move five times in ten years, in search of safe and affordable housing. Raymond McDonald grew up in Cabrini with his grandmother. We follow 15-year old Raymond at home, in school, and challenging Chicago mayor Richard J. Daley. We witness Raymond’s maturation into a young adult as he starts a dog training business with the new mixed income residents as customers. Since the completion of this film, Raymond studied at Missouri State University in West Plains and at Harold Washington College. He still runs his dog-training business that was featured in the film. Raymond has traveled across the country with 70 Acres in Chicago, speaking to groups about gentrification, ethics and community politics. He also works for the National Public Housing Museum recording oral histories, conducting neighborhood tours, and preserving artifacts. 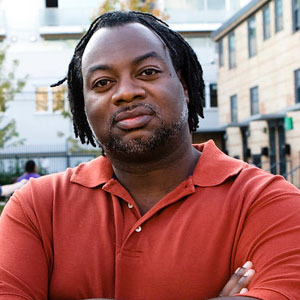 Raymond is an elected member of the Cabrini Green Local Advisory Council. Known as Shaq D, Raymond is also a talented musician. You can listen to his beats on Soundcloud and YouTube. 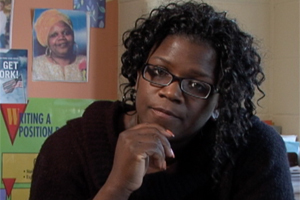 Deidre Brewster is a well-known Community Development, Human Rights and Disabilities Rights Organizer. Her work has stemmed from a lifetime commitment to eradicate homelessness. 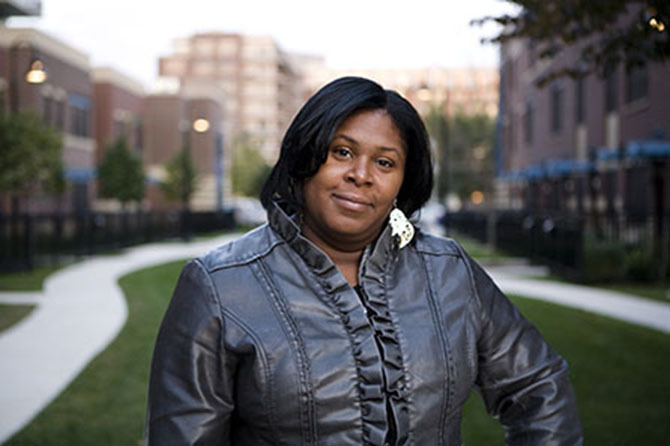 For the past 15 years, she has worked on a wide range of human rights issues in Chicago and New Orleans, including leading trainings on fair housing rights, designing after-school programs for youth, and helping to develop the Relocation Rights Contract for public housing residents in Chicago. Deidre was among a prominent group of women from Cabrini who filed lawsuits, organized protests, and coordinated rallies throughout the demolition and ‘transformation’ process on behalf of the Cabrini community. In her words, “We did what we had to in order to return to our community.” Deirdre was also one of the few Cabrini residents to return to the mixed-income homes. At the end of a hard-won victory, we see her face a heart wrenching decision that no parent should ever have to make. 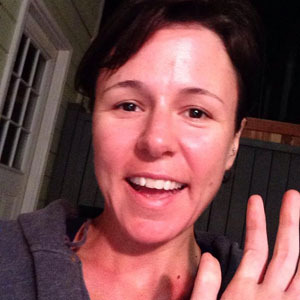 She is a founding member and driving force of the statewide campaign: Just Say hi Neighbor. Tara Stamps spent her early childhood years at Cabrini Green, and her mother, the late Marion Stamps, was one of the preeminent Cabrini activists. Tara was introduced to activism at an early age, and decided to become a teacher as a way to continue her mother’s legacy through educating youth from Cabrini. Tara is a 6th-8th Grade Reading Teacher at Jenner Elementary Academy of the Arts. She holds a B.A. in Communications from Central State University, a M.A. in Curriculum and Instruction from Concordia University, and a M.A. in Educational Leadership from American College of Education. Tara is also the founding director of In the Company of Sisters, a theater company dedicated to lifting up the voices of African-American women.